Every once in a while something special sneaks into your life, so unassuming you are barely aware of its presence. However, its ability to change and influence is a forceful undercurrent with powerful impact. It might be meeting a new friend for the first time. It could be finding a dog to call your own. For me, it’s often the serendipitous joy I gain from opening a picture book. 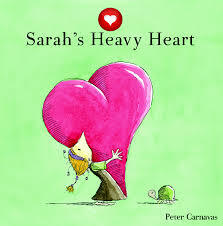 Peter Carnavas’ picture books deliver that exact kind of special. 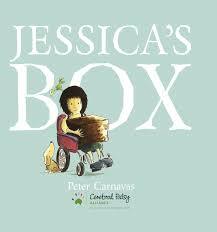 Jessica’s Box, first published in 2008 by New Frontier Publishing, is a beautiful example of how such magic endures. Jessica’s first day of school is full of trepidation and new connections; however, her attempts to win friends with offerings from her large brown box repeatedly fall flat. You must read this book to discover that special ‘something moment’ Jessica finds hidden in her box. What makes this edition so endearing is that it has been embraced and especially commissioned by the Cerebral Palsy Alliance. Retaining all of the original text, Carnavas has redrawn the illustration to show Jessica in a wheelchair. Text and illustrations are subtle and spare and harmoniously integrated keeping the focus on Jessica’s struggle with self-worth rather than her disability. 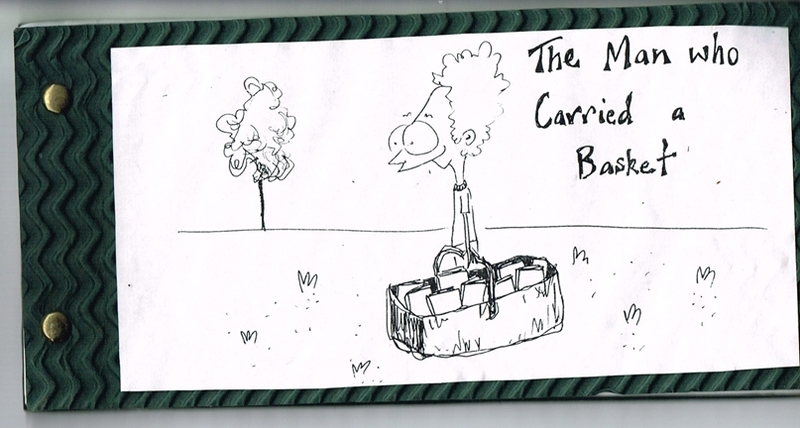 Peter is here at the doodle table today to shed some more light on this touching picture book. Welcome back to Boomerang Books Peter! 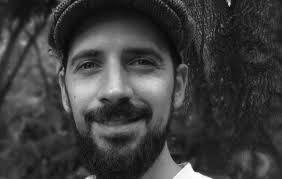 Who is Peter Carnavas? Tell us something about yourself we can’t find on a website. Peter Carnavas is that quiet kid you went to school with, the one always drawing little pictures on his schoolbooks. Whenever he had to speak in front of the class, he would mumble and look down and his teacher would tell him he had to use more expression. Now his job is to draw little pictures and speak in front of schoolchildren (he uses more expression now). Your published writing career began about six years ago, around the same time Jessica first entered our lives. Describe how this happened. After teaching for a few years, I was itching to do something creative, as my hobbies were always creative things like drawing and writing and music. I had made some little books for my nieces and nephew, and decided to pursue children’s writing. I completed a picture book course with Virginia Lowe, sent my dummy book to a publisher, then forgot all about it. 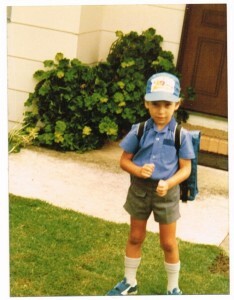 After I moved house a few times, got married and became a father, I received the news that I was about to get my first book contract. Was this the first picture book manuscript you had ever produced? What inspired its (original) creation? Yes, Jessica’s Box was the first picture I had prepared to submit for publication. It mainly started from a little book I had made my wife, called The Man Who Carried a Basket, about a man looking for love by showing off possessions (albeit simple possessions), instead of valuing himself. It was autobiographical, I guess. A little while later, I turned the character into a schoolgirl wanting to make friends. It seemed to make sense. Whose idea was it to re-release this edition of Jessica’s Box? I have to give all of the credit to my publisher, Peter Whitfield, of New Frontier. Peter and his family have been connected with the Cerebral Palsy Alliance for many years. He simply emailed me with the idea of depicting Jessica in a wheelchair, leaving the text untouched. I thought it was a wonderful idea. What makes Jessica’s Box CPA edition special in your eyes? The thing that makes it special is the fact that the disability is not central to the story. The text is completely unchanged from the original, so the point we’re making is that children with disabilities have the same regular concerns and anxieties as all children – wanting to make friends, trying to fit in. You only notice Jessica is in a wheelchair in some of the illustrations. Do you think Jessica’s Box could lend itself to theatrical interpretation in the way Sarah’s Heavy Heart and One Tree in the City have been via Artslink? On what levels do you feel this could positively influence children? I definitely think it would work well as a play. I had the pleasure of watching a Year One class from Graceville State School perform it for me a few years ago. It was great, especially the yoga mum character. The book contains such a simple but powerful message, to enjoy being ourselves instead of advertising what we own. Had you ever considered including a disabled character in your stories before? I have thought about it a few times. I watched a documentary about children with selective mutism, which fascinated me. I’m usually attracted to characters who are quiet but strong in some way, so this one would suit me well. Did you ever need a box at school to make friends? I always managed to have a few friends at school, though I’m not really sure how. Drawing funny pictures probably helped. A Special edition release of your work is pretty exciting. Name three other things about your job you really love. I have such a joyful job and I never take anything for granted. I love getting to meet authors I admire. I try to play it cool but inside I’m doing backflips with excitement when I meet some of these wonderful people. Spending time with children in schools is always fun. I always feel like it’s the best bits of teaching – I turn up, read books, draw pictures, inspire kids and make them laugh (hopefully), then ride off into the sunset without any report cards to write. Drawing pictures in my little studio is probably my favourite part of it all. Pencil in hand, music playing, cup of tea beside me… it’s all I need. Apart from the sunset, what is on the horizon for Peter Carnavas? More books are coming out soon. I’ve illustrated Mr Darcy and the Christmas Pudding, the third in the series written by Alex Field. 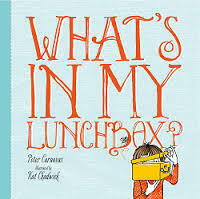 I’ve written a fun book called What’s in My Lunchbox?, beautifully illustrated by Kat Chadwick. Most exciting for me is the chance to spend the next few months at home, illustrating my next book, probably with scissors and glue. That’s right – I’m entering the dangerous world of collage, though I don’t know if I’ll make it out the other side alive. I’m sure you will. Thanks Pete! While Peter cuts and pastes, many of you will be turning your attention to cutting and pasting of a different-Christmas-paper-wrapping kind, so I’ll take this opportunity to THANK YOU all for reading with me, laughing with me and staying with us this year. Like our namesake, we’d love to see you return in 2015! There’ll be more books to discover, great people to meet and scintillating literary facts to learn – guaranteed. Till then, have yourselves a very merry little Christmas. Thanks Dimity for interviewing Peter.